These Morris Dancers are shaking their bells and clashing their sticks in St Sampson's Square. An annual treat for lovers of Traditional Dancing. 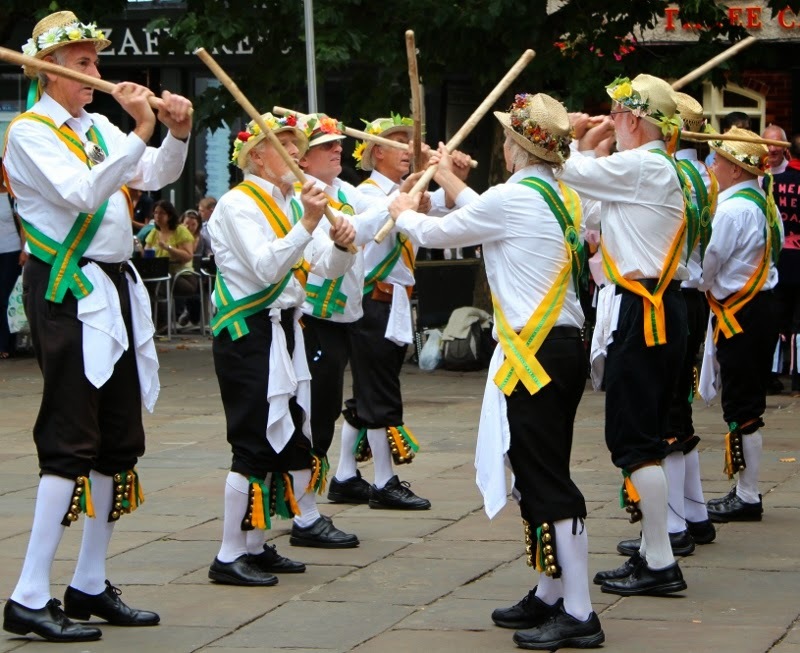 I've never actually seen Morris Dancers perform! Morris dancing is so strange but I absolutely love it. Maybe because of its strangeness. Square Dancing? That dude on the left looks a giant ;-) Great theme day post Deb. Wonderful! I can almost hear them now. Super theme day post! I've never seen them dancing in real life - great pic for the day, Deb! May day Morris dancers! How appropriate! I love Morris dancers. Nice connection between your May 1 traditions and the Squares theme.